Below you will find Top CBSE Schools in Rohtak 2019, List of Best CBSE Board Schools in Rohtak. Pathania Public School founded in the year 1985 is located in Rohtak. Established under the aegis of D.
DAV Police Public School, Sunarianis affiliated to the CBSE and has classes from Std I to XII (Science). 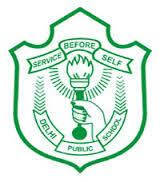 Delhi Public School Rohtak was founded by the Delhi Public School Society. Promoted in the year 2010 Duhan Public School is renowned day school in Rohtak. Founded in the year 1990, Green Field Public School is an English medium co-educational school affiliated with the Central Board of Secondary Education (CBSE), New Delhi. The Green Valley Senior Secondary School is a premier co-educational English medium school affiliated to the Central Board of Secondary Education, New Delhi and follows its syllabus. DGV Public School is one of the most prominent and leading coeducational day school. Promoted in the year 1992, C.
Established in the year 2012, Ch. Founded in the year 1996, Baba Banda Bahadur Public School follows the CBSE pattern. Promoted in the year 2001, Arya Senior Secondary School was established with the aim to provide adequate exposure to the children through various competitions, sports, cultural and academic. Founded in the year 1995, Apex Public School is a co-educational, English medium day school, affiliated with the Central Board of Secondary Education (CBSE) and offers education from nursery through class XII. Established in the year 2004, Adarsh Senior Secondary School is a coeducational day school affiliated with the Central Board of Secondary Education (CBSE).